Each of the 78 cards in a Tarot deck hold a special meaning that only that card can give to you. Just as the cards differ from one another, so do Tarot spreads. Every reading layout has its own individual energy, bringing an added layer of richness to the cards as they're placed in each position. This is why it's important to choose the right reading for any situation you're currently facing. Need help untangling a confusing problem? Curious as to how your karma is helping or hurting you? Want to unveil the unseen forces affecting your future? There's a reading for that! There are hundreds of Tarot spreads, with new ones being created all the time. In fact, a new one is probably being created as you read this! However, the Celtic Cross Tarot Reading is the gold standard -- and with good reason. It has been used for hundreds of years to give seekers in-depth insight into even the most complex situations. Something could be hiding from you -- and this reading will uncover it! The Revelation Tarot Reading taps into the energies surrounding you right now, uncovering the unknown factors that have been secretly holding you back. By understanding how your situation is influencing you, you have the ability to activate the positive breakthrough you've been waiting for. Have you ever wished you could steer your own fate? That's exactly what the Karma Tarot Reading will help you do. 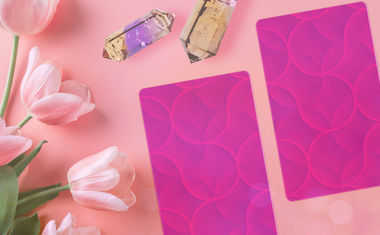 You have a unique karmic energy that is affecting you and your outcome, and this spread serves as a tool to understand exactly what that is, so you can diminish your negative karma and use your positive karma to your advantage. Prepare yourself for whatever is coming your way -- both in the near future and down the road. By focusing on where you've been and where you're headed, the Timeline Tarot Reading acts as a powerful tool for uncovering any unfolding issues, as well as their possible consequences over time. By staying ahead of these energies, you learn how to work with them instead of allowing them to work against you. The Life Cycle Tarot Reading examines your past, present, and future to help you identify all the patterns that may be holding you back. Based on the sacred number nine, this Tarot spread not only gives you advice on how to overcome your personal obstacles, but it also identifies where your true opportunities lie and the positive steps you can take to get there! This zodiac-based Tarot reading combines the powerful guidance of both Tarot and Astrology to give you a double dose of insight that is truly unparalleled. Each of the positions offers a detailed look at the developments in the various areas -- or "houses" -- of your life. Understanding how the energies are influencing every facet of your life gives you the perspective needed to enact positive change. 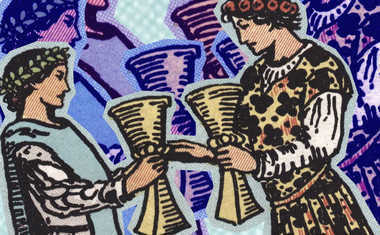 There are a wide variety of problems and concerns, which is why we've created many different types of Tarot readings. Don't see a spread in the lists above that matches what you're going through in the moment? Browse our entire catalog of readings or read about our most popular love readings to find one that's perfect for YOU!